Introducing Klarity™ Lasertox™, the new skin care product from Korea has on board to Singapore. KLARITY™ Lasertox™ CC Miracle White Lotion helps to restore your beauty with at least one tone lighter whitening effect instantaneously. The lotion is enriched with diamond powder, giving you the instant glow after application. Also enriched with wild rosehip extract, which is a source of powerful antioxidant, it helps to prolong skin youthfulness. Which sun screen factor SPF30/PA++, Lasertox™ CC Miracle White Lotion protects your skin from harmful UV rays, preventing photo-aging and dark spots. This 11-in-1 multi functions CC lotion is light on skin and colorant free. The non-sticky and non-oily formula leaves skin smoother and hydrated. 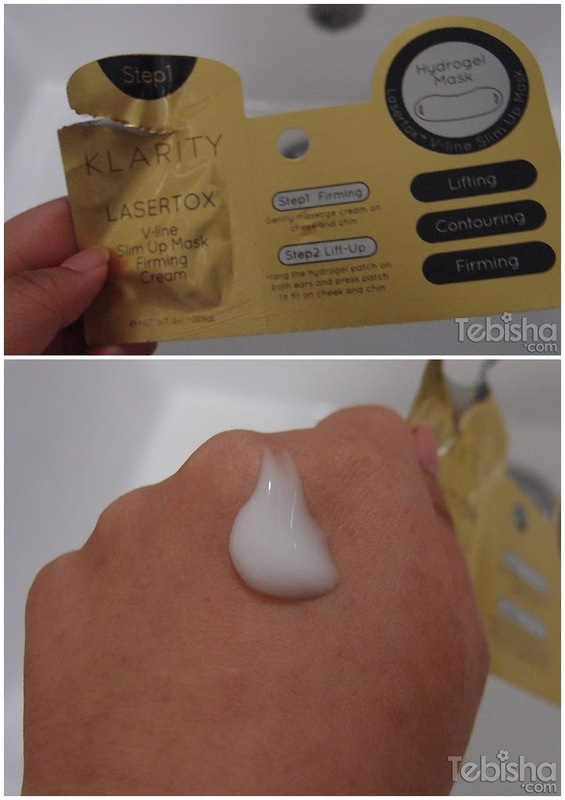 Reviews: My skin tone is obviously fairer after applied Klarity CC Miracle White Lotion, some pigmentation and scar marks are effectively concealed. Texture of CC Miracle White Lotion is non-greasy, non-oily and non-sticky. Suitable for all skin types. Gently massage the cream on cheek and chin. This step is to firm your cheek and chin area before putting on the hydrogel sheet. Hook hydrogel sheet over ears and press the sheet to fit on cheek and chin. Leave the mask for 30-40 minutes, remove sheet and pat remaining essence to be absorbed. V-line slim up mask lift up patch is a functional hydrogel sheet delicated to refine your cheek and chin contour. It firms and contours your jawline with the aid of CellActive. I need some of this to get rid of my freckles!